The Dresser Roots Series B3 meters are designed to provide continuous and accurate gas measurement in the gas distribution, gas transmission and gas production industries, as well as industrial in-plant applications. 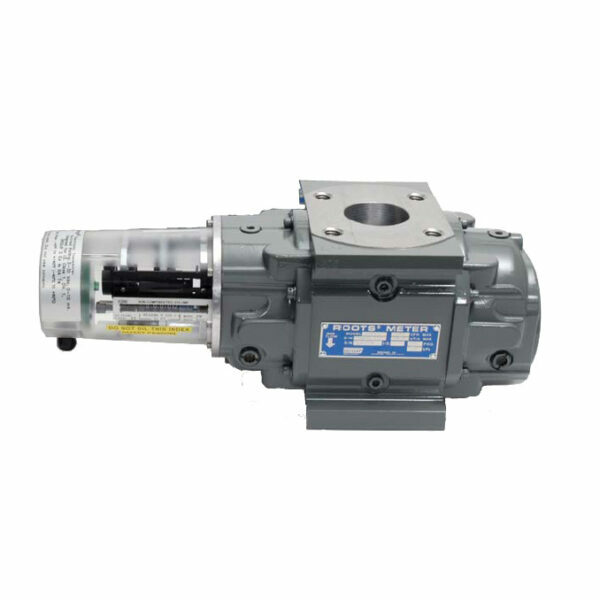 They are a positive displacement, rotary type gas meter designed for continuous and accurate gas measurement. Dresser Roots meters are suitable for handling most types of clean, dry, common gases at either constant or varying flow rates. Meters of standard construction are not directly suitable for handling acetylene, biogas or sewage gas. Volumetric accuracy of the Dresser Roots meter is permanent, non-adjustable, and is not affected by low or varying line pressure. Dresser Roots Series B3 meters may be used satisfactorily for pressures ranging from a few ounces to full Maximum Allowable Operating Pressure (MAOP). Displaced volume measurement is completely independent of the gas specific gravity, temperature, and pressure. 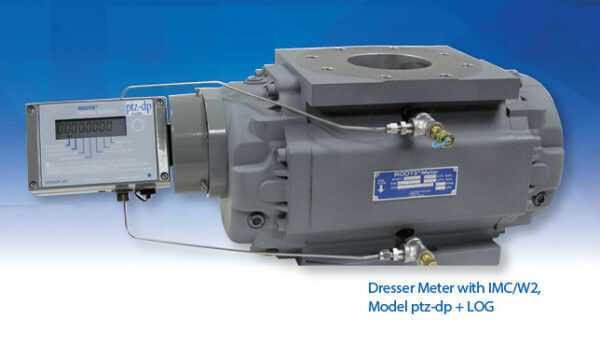 Dresser Roots Series B meters have a MAOP rating of 175 psig (1200kPa). Every meter is static pressure tested at the factory at twice its MAOP and leak tested at 125 percent of MAOP in accordance with ASME Boiler Pressure Vessel Codes. Other pressure ratings are available. Consult factory for the information. Dresser Roots meters are manufactured in accordance with ANSI B109.3 for Rotary Type Gas Displacement Meters. Dresser Series B3 meter sizes 8C through 56M, have flanged inlet and outlet connections conforming dimensionally with ANSI/ASME standards. Sizes 8C through 2M are available with 1-1/2” NPT connections, upon special request. The meter operating temperature range is from -40°F to +140°F (-40°C to +60°C) while the temperature compensating mechanism of the mechanical TC accessory provides a corrected reading for temperatures ranging from -20°F to +120°F (-29°C to +49°C).